When setting up an account, you will be asked some verification questions from Experian so that they can identify you and send your information to Credit.com to be viewed in your free Credit Report Card. It is important to note that all data information within the Credit Report Card is provided directly from Experian. This includes the security questions and whether or not they are being answered correctly. We do not have the ability to change, edit, or bypass this Experian process. If needed, you may contact Experian directly at 888-397-3742 to verify the information they have on your credit file. Please read each question carefully and if the questions do not apply to you, please select NONE OF THE ABOVE, as this would be the appropriate answer. There is no need to overthink the question - if no answer seems relevant, go ahead and click NONE OF THE ABOVE. The presence of such questions does not imply anything, nor are they intended to trick you. Here at Credit.com we take your security seriously. If you are unable to answer the security questions or you receive an error, please contact support here or you can email support@credit.com. Sometimes, if you have tried to access your Experian file too frequently in a short period of time, Experian will lock your information as a security safeguard. In this case, you will see This is called the "Attempt Limit Reached" message. When this happens, please try again after 3 days (at least 72 hours) since you first received the error. 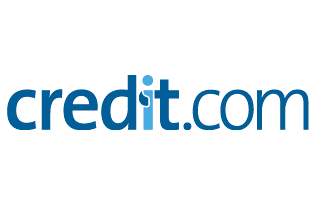 If you try to access your account at Credit.com before this time period expires, you will not be able to log in. If you continue to experience problems signing into your account after the full 72 hours has passed, please let us know. In order to obtain your free credit report card from Credit.com, at sign-up, you will be asked to enter your email address, create a password, enter your first and last name name, address, date of birth and phone number. If you need to verify your identity through the separate sign-up flow, you will be asked to enter your SSN. Rest assured, our website is VeriSign Secured - This seal means that Credit.com uses the industry’s leading SGC security and encryption programs. VeriSign allows us to provide 128- or 256-bit encryption. This information is entered through our site and not via email, which is what makes it secure. 1. Have you recently made any changes, i.e. your name, residence? 2. Have you had any past credit/identity theft problems? Do you have an alert, hold or "freeze" on any of your credit reports? 3. It is possible that you have a "thin file" and Experian does not have sufficient information in their credit report. There are three credit bureaus (Experian, Equifax and TransUnion), and creditors are not required to report to all three bureaus. If you think Experian has filed improper information about you, you will need to contact them to dispute this matter at http://www.experian.com/disputes, where you may access your credit report by entering your personal identification information.